Phyto-Poudre Libre is an airy powder that's exceptionally fine and light as a veil. 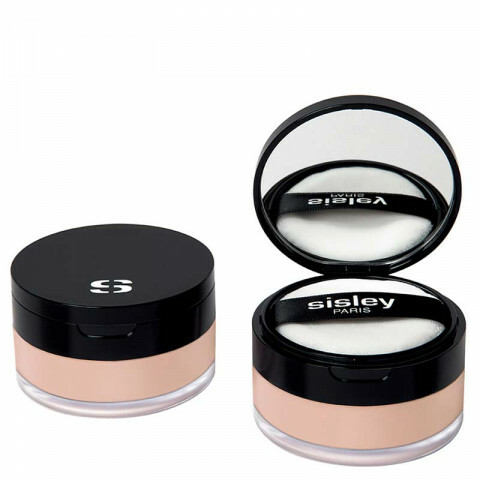 It creates a perfecting halo that gives incomparable radiance and sets make-up. It glides over the face like a second skin for a perfectly natural result and imperceptible make-up. Completely translucent, Phyto-Poudre Libre unifies and mattifies the complexion, smoothing and visually refining the skin texture. Enriched with natural skincare active ingredients (Hibiscus flower extract, Linden Blossom extract and Mallow extract), it preserves the skin's hydration and suppleness giving a sensation of comfort all day long. Tested under dermatological conditions, it is suitable for all skin types, even the most sensitive. Phyto-Poudre Libre is encased in a round, elegant and practical box with mirror with an exceptional quality velvet powder puff for ultra-fine application. Very cooling and adds great moisture to the skin. However, do not use to set under eye area! The moisture does something weird and it kinda of starts to erase the concealer... Cool product overall though! It's so rare that I find a product that perfectly addresses a need, and makes me wonder how I ever lived without it. I would not recommend this as an all-over setting powder for oily skin, as it doesn't control oil. However, I do like to use a light dusting of it on top of my regular setting powder, for a smooth airbrushed look and longer wear time.